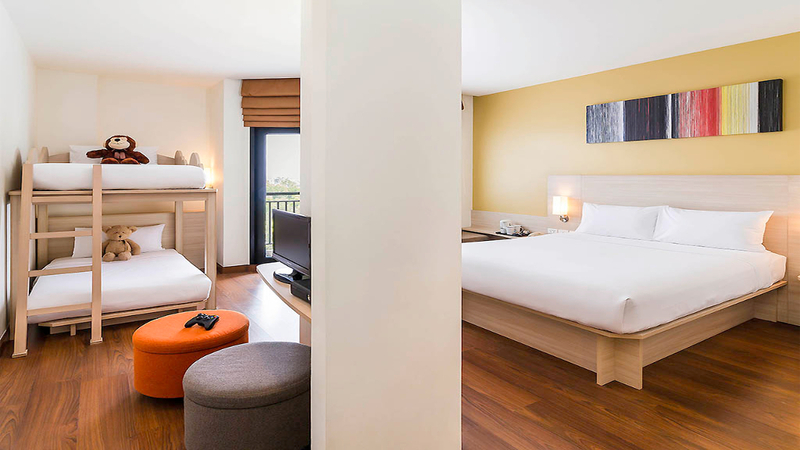 Follow in the footsteps of royalty to discover the soft white sands and turquoise waters of Thailand’s first ever beach resort during a stay at the Ibis Hua Hin Hotel. The modern complex provides a perfect hideaway for anyone seeking an unforgettable holiday with family, friends or a love one. Guests will feel right at home in the stylish rooms, while the hotel’s pool is the ideal place to cool off during a lazy day in the sun. When it’s time to dine, travellers can enjoy a meal at the on-site restaurant or take a stroll to discover the local delicacies on offer nearby. As well as bars, cafes and restaurants, a number of colourful markets, golf courses and a waterpark can also be found close to the hotel. With all this to experience, it’s easy to see why this idyllic urban retreat has the royal seal of approval and is a magnificent choice for a superb getaway. 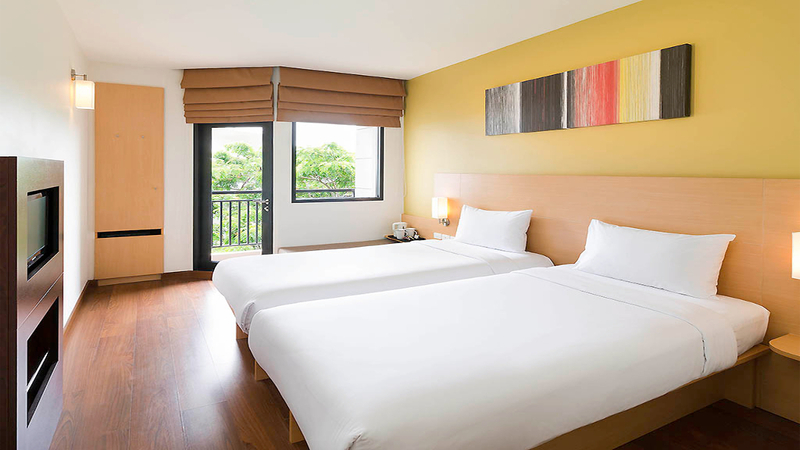 The Ibis Hua Hin Hotel is located less than a 5-minute walk from the beach. 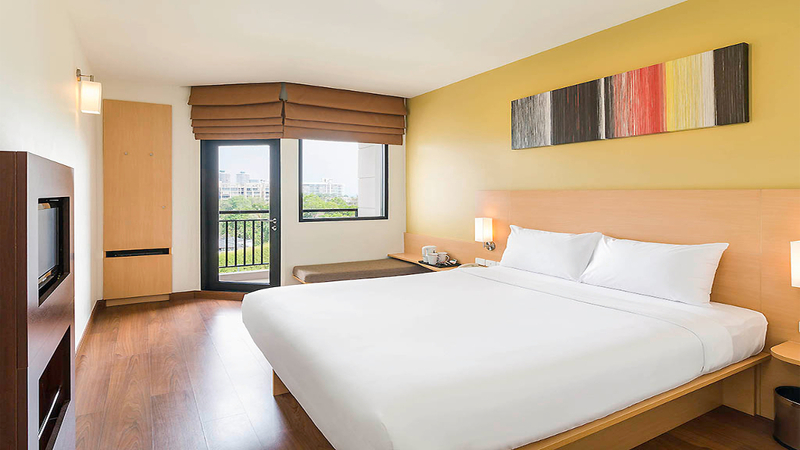 The Ibis Hua Hin is close to a number of shops, bars, cafes and restaurants. The arty Cicada Market is approximately a 5-minute walk away from the hotel, while the Hua Hin Market Village can be found approximately 4km away. 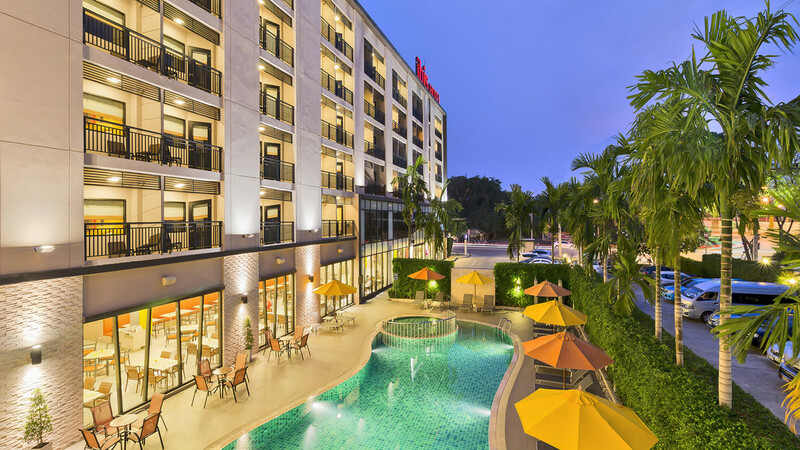 A waterpark can also be found approximately 1.5km away from the Ibis Hua Hin, while a number of golf courses are within a short drive of the hotel.